For these vases I worked out a method to reproduce wooden texture, much like the Beton Brut concrete production method used throughout the building. 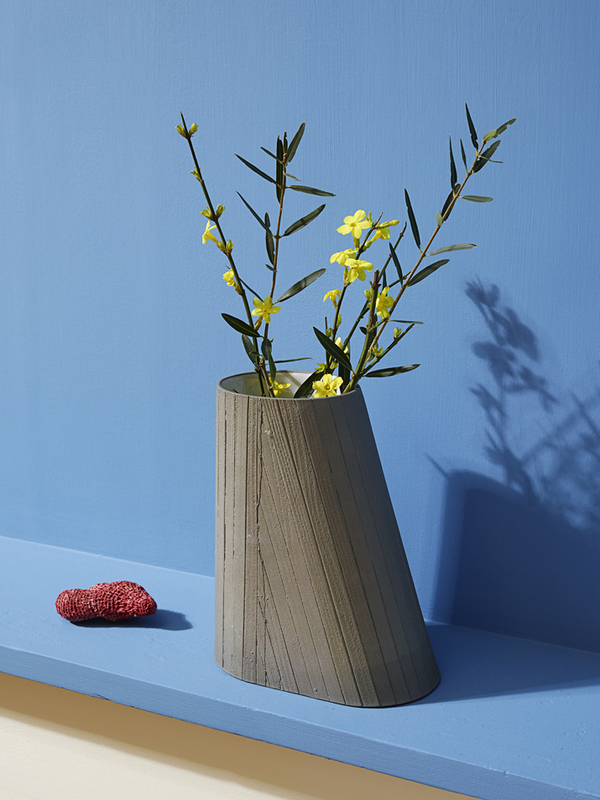 The vases are made from a tinted porcelain, also to reference the concrete, and the interior is glazed in a translucent white, allowing it to be filled with water. The two sizes are different shapes but both are made in proportion to Le Corbusier's Modulor system of measurement. These pieces were slip cast with the help of Peter Fink of Potsfink, a talented ceramic artist in Fribourg.